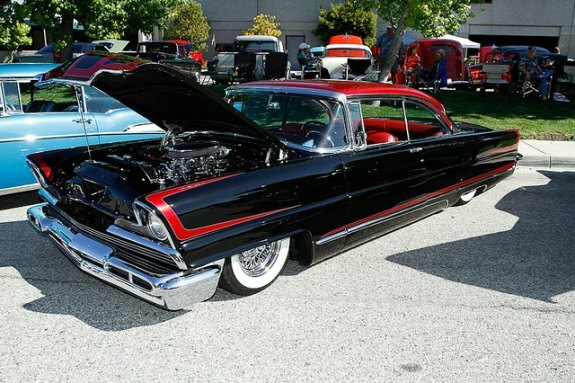 TORRANCE, CA – Edelbrock is proud to be the title sponsor of the 8th Annual Rev’ved Up 4 Kids Charity Car Show, which will be held on Sunday May 5th to benefit the newly created Edelbrock Family Foundation. On Saturday, May 4th, 2013, Edelbrock will once again be opening the doors of their corporate headquarters and manufacturing facility to the public for free shop tours. Participants will partake in a guided tour of the research & development, manufacturing and quality control departments. This is a unique opportunity for automotive enthusiasts to see what it takes to design and manufacture high-quality performance products. Shop tours begin at 10:00 a.m. and will end at 2:00 p.m. Limited spots are available and are going fast. Interested parties can register online at www.revvedup4kids.com. On Sunday, May 5th, 2013, over 300 cars will fill the streets around Vic’s Garage for the 8th Annual Rev’ved Up 4 Kids Charity Car Show. 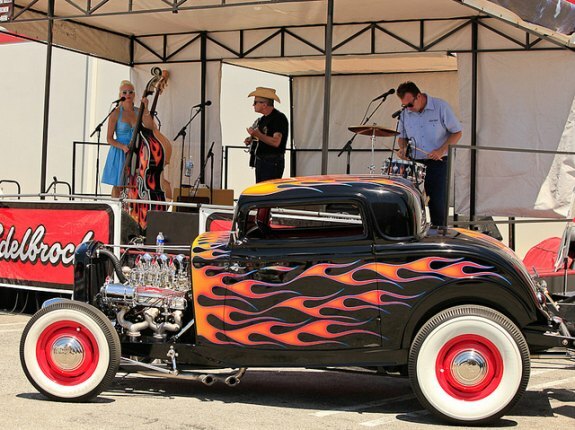 Automotive enthusiasts are invited to come out and enjoy a day of hot rods, great food, live entertainment and everything else that encompasses car culture. Leon “The Motorman” Kaplan from Talk Radio KABC will be broadcasting live from the K&N booth starting at 8:00 a.m. Various popular gourmet food trucks will be attending to satisfy your appetite. The show will also host the Hot Rodders of Tomorrow Engine Challenge, where teams of high school students from all over Southern California race to tear down and rebuild an engine in a timed and judged competition. Additionally, the ever so popular Kids Corner will return with tons of activities for children of all ages. Many aftermarket manufacturers will be in attendance to exhibit their products. Show hours are from 10:00 a.m. to 4:00 p.m.
Spectator entry is free, however, The Edelbrock Family Foundation will be accepting any donations. All makes and models of vehicles are welcome and interested car show participants can register online at www.revvedup4kids.com. Standard registration is available from now until April 26th at $40.00 per vehicle. Day of show registration is also available at $50.00 per vehicle. Finally, a limited number of VIP spaces are also available for a $100.00 per vehicle. Saturday May 4th, Edelbrock will be hosting free shop tours from 10:00 a.m. to 2:00 p.m.
Sunday May 5th, the Rev’ved Up 4 Kids Charity Car show from 10:00 a.m. to 4:00 p.m. Founded in 1938, Torrance-based Edelbrock, LLC is recognized as one of the nation’s premier designers, manufacturers and distributor of performance replacement parts for the automotive aftermarket. Edelbrock produces their core products in the United States of America using state-of-the-art equipment in their world class manufacturing facilities. Edelbrock, LLC encompasses five locations in Southern California and one location in North Carolina totaling more than 500,000 square feet. For more information, visit www.edelbrock.com. The Edelbrock Family Foundation was formed with the purpose of bringing together like-minded organizations that share a passion for educating America’s youth in a unique and useful way. Fostering a new generation of aftermarket industry leaders, entrepreneurs, innovators, enthusiasts and more.